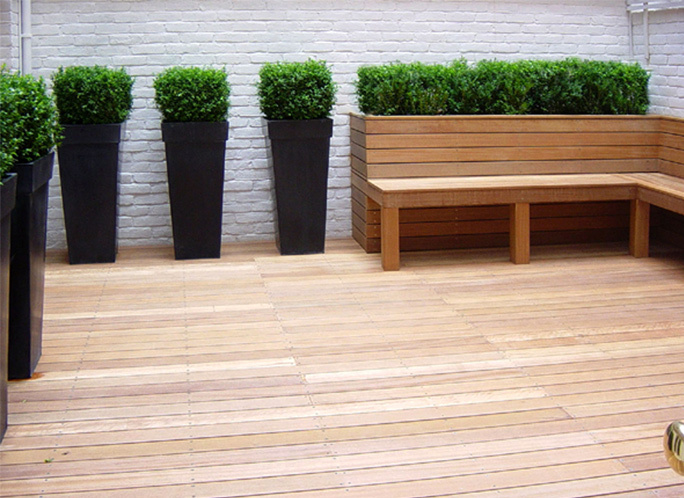 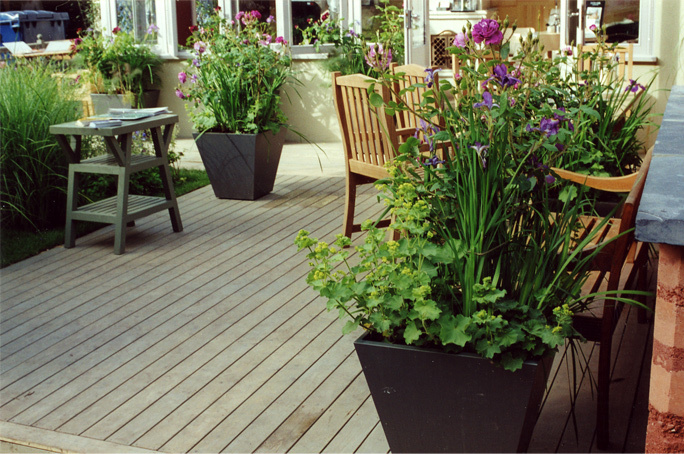 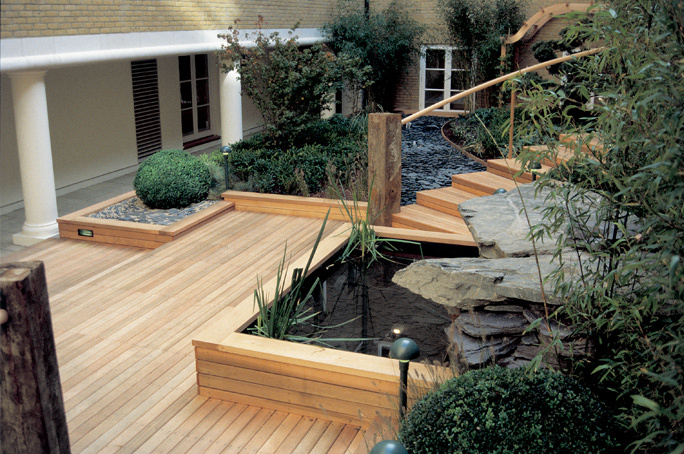 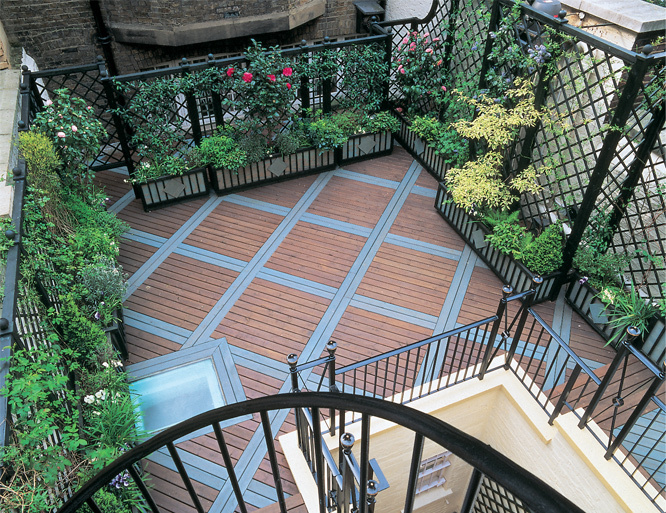 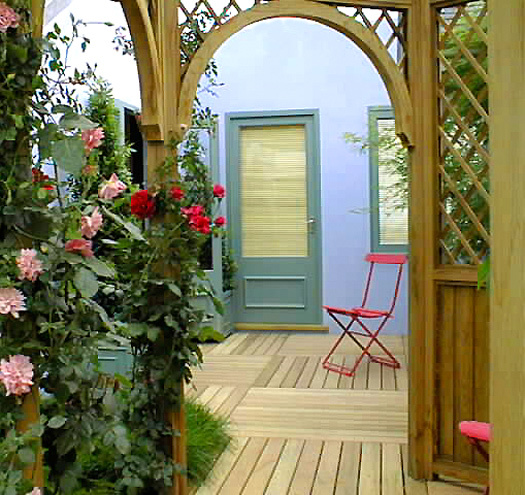 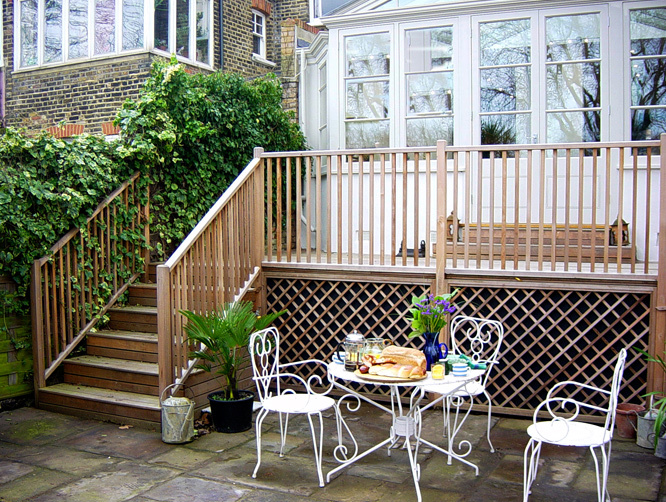 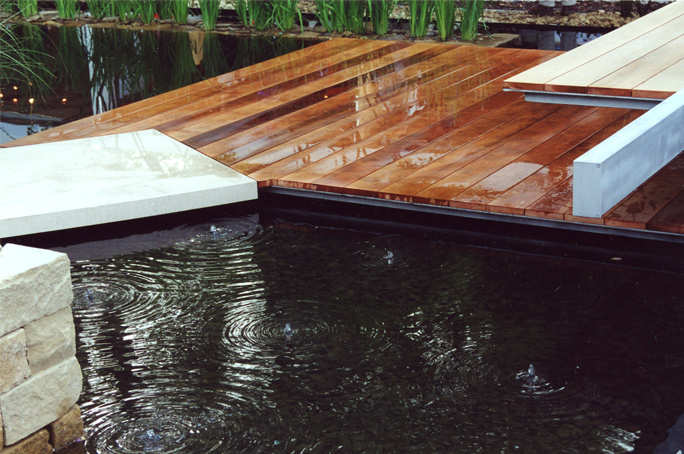 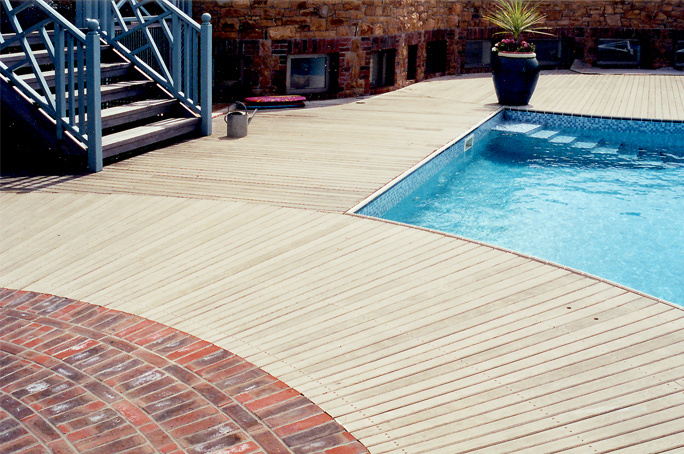 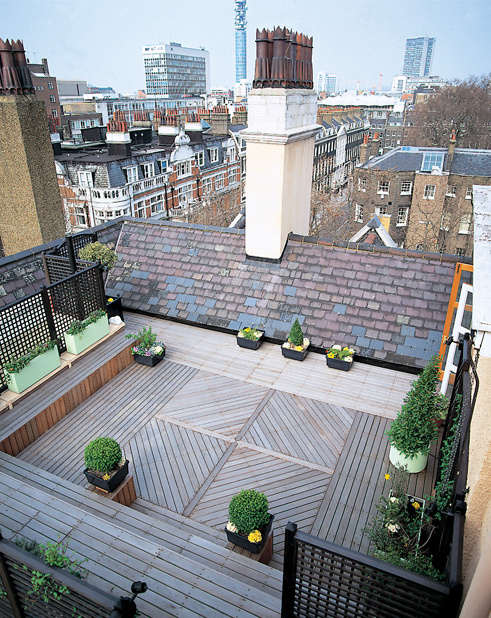 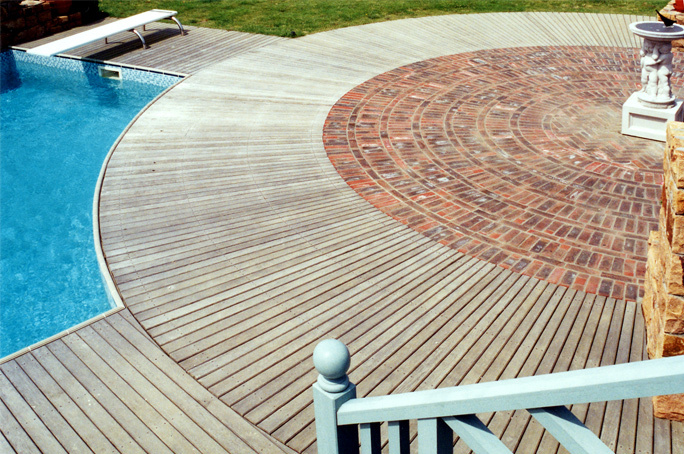 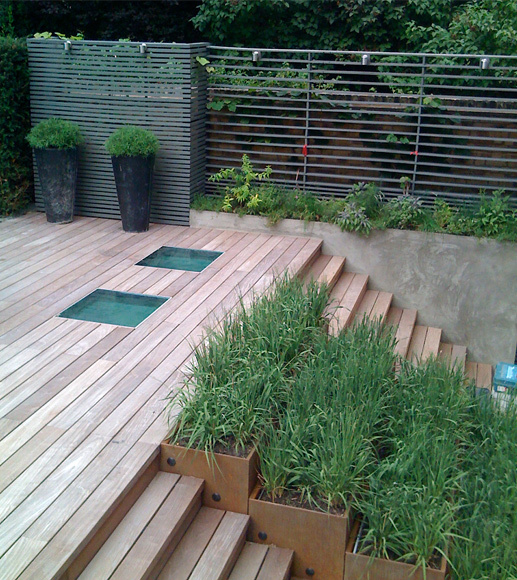 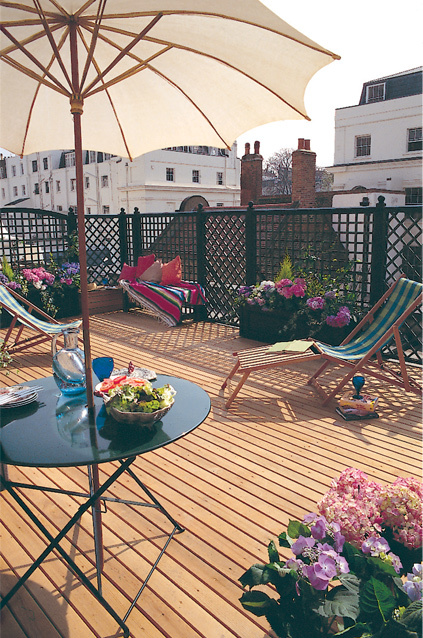 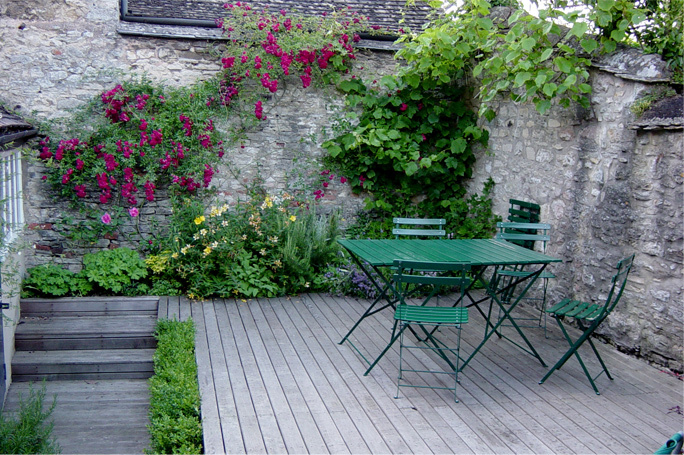 Decking is the most versatile material for external flooring. 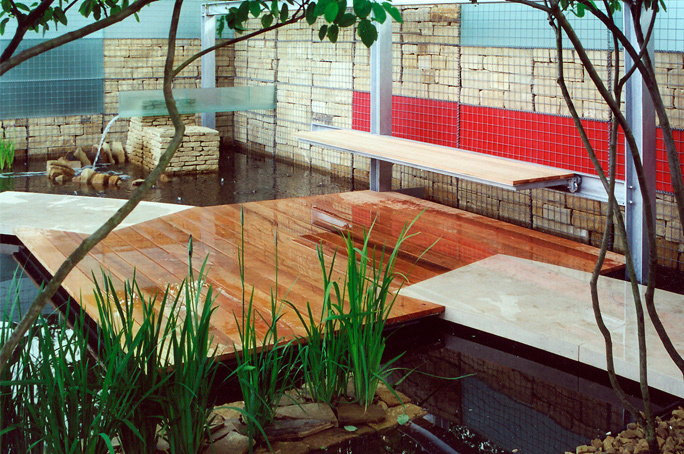 Unlike stone or tiles the substructure of a deck is constructed from timber framework laid as joists; the joists are either suspended just above ground level on concrete pads, elevated several meters high on stilts or suspended off a building on steel brackets. 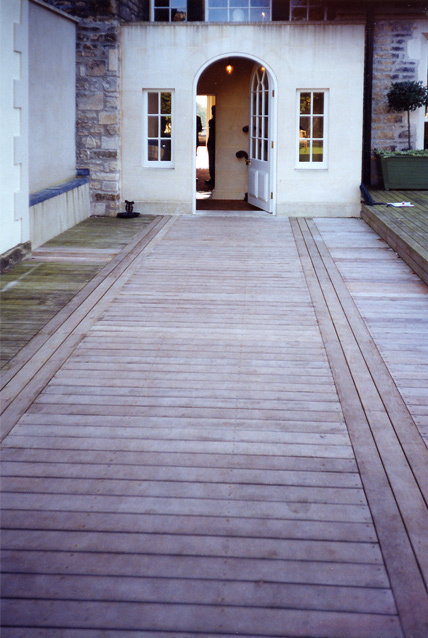 Whichever system is applied, decks are always installed with a gap between the boards to allow for timber expansion and drainage. 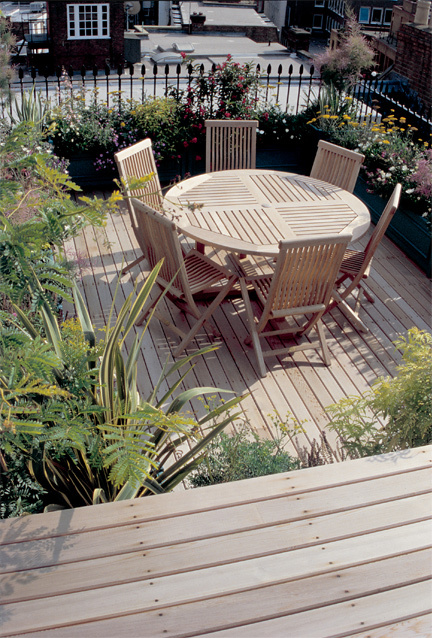 Decking boards are traditionally secured to the joists with screws or nails fixed through the top surface of the board. 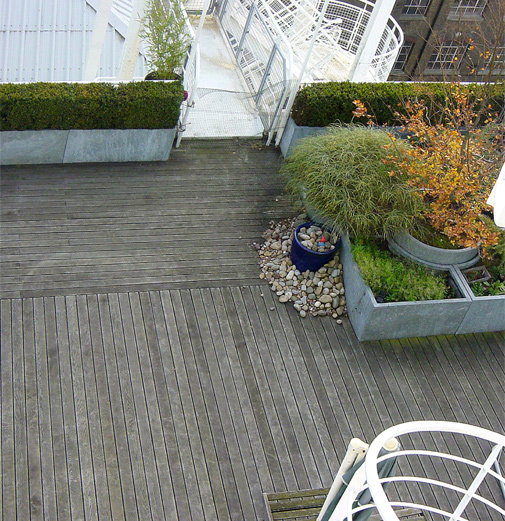 Hidden fixings have recently become available, allowing the deck surface to be clear. 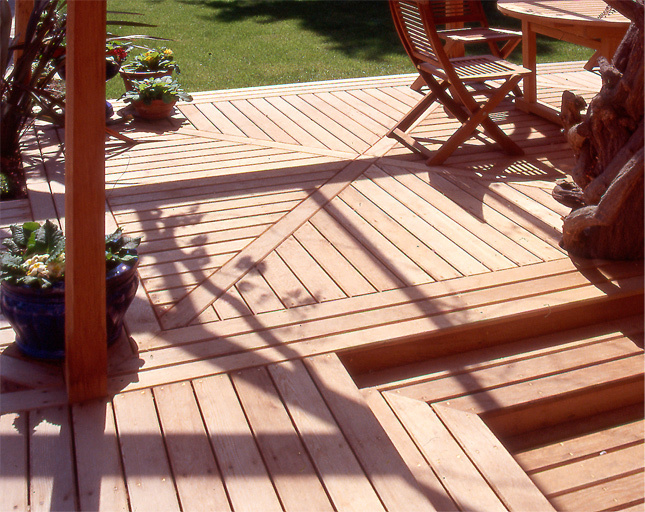 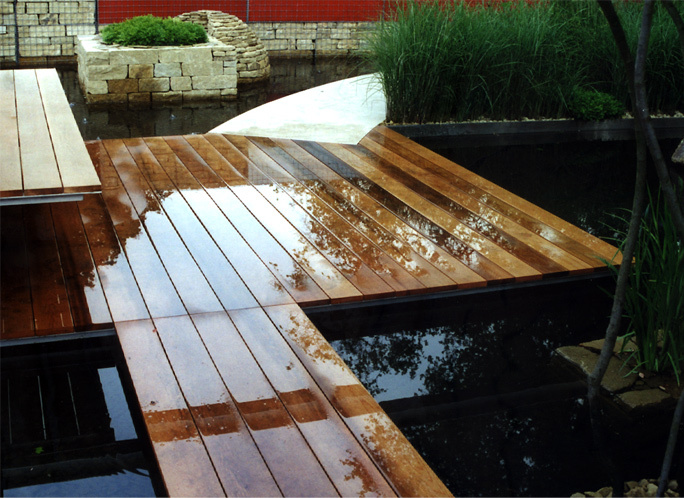 Timbers used for decking range from treated softwood to several types of hardwood and more recently composite materials, which include recycled plastics and timber waste. 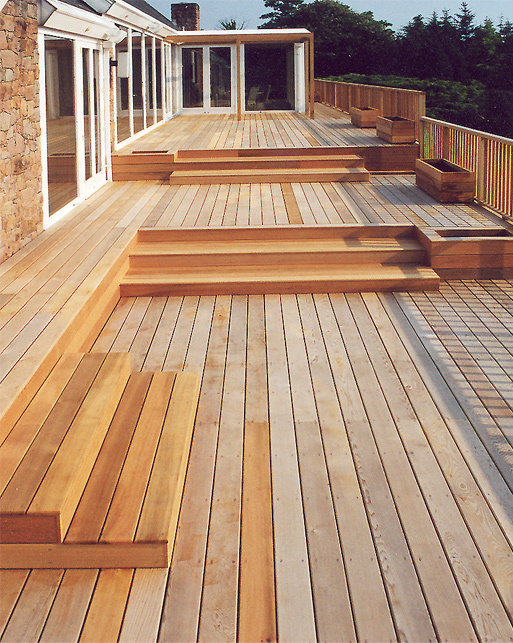 In terms of durability there is not much difference between treated softwood and hardwoods. 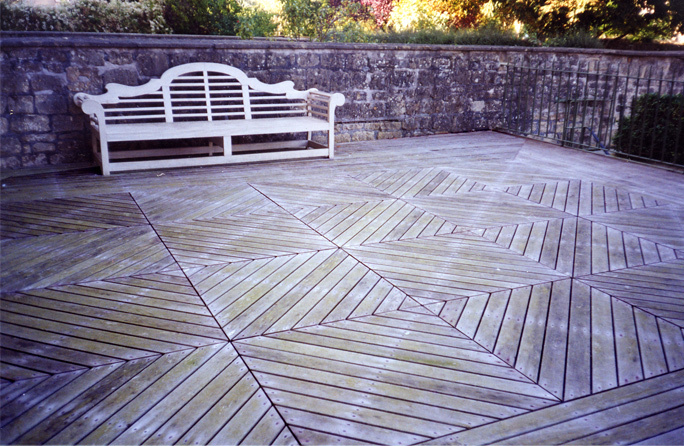 Aesthetically, however, hardwoods look better when first laid, and their appearance improves with age as they weather and turn different shades of grey. 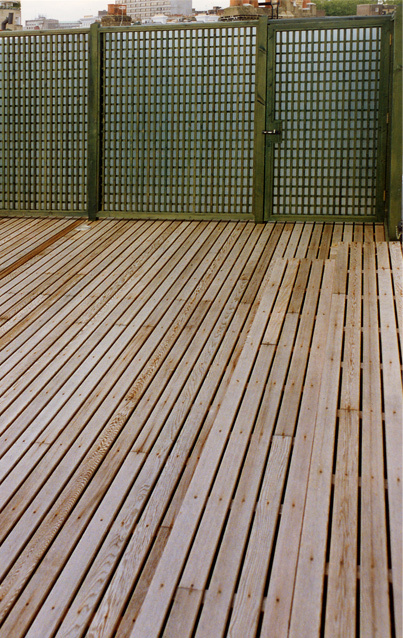 The treatment used to preserve softwood makes it a dull green colour, and whilst this does weather down over time, it never achieves the subtle tones found in hardwood. 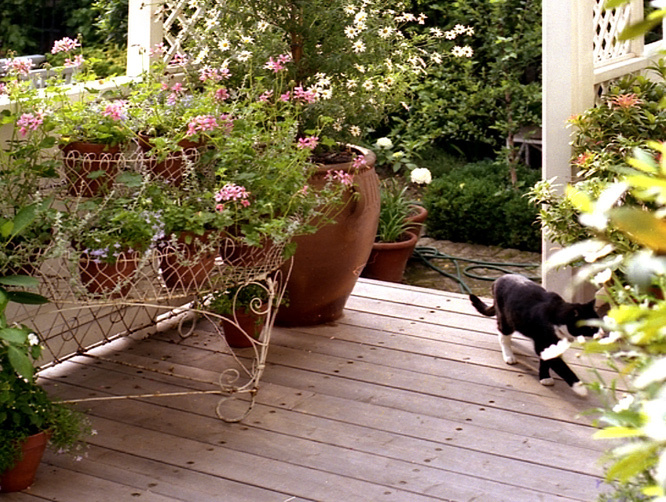 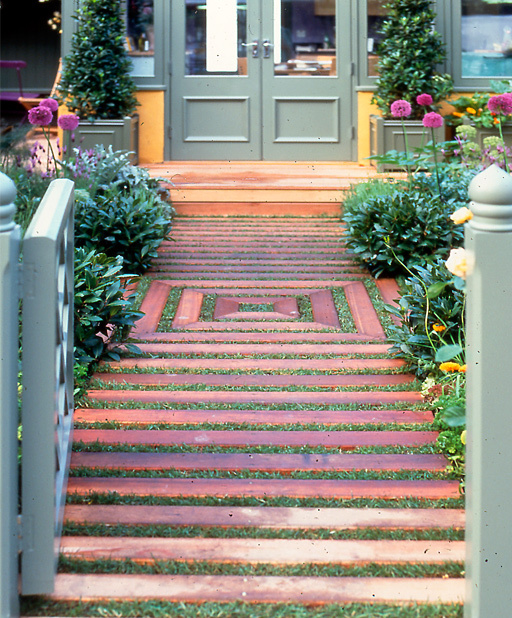 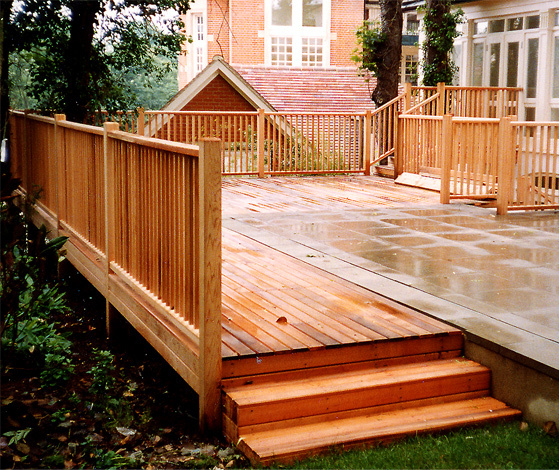 Decks raised off the ground may require a handrail or steps leading up to them. 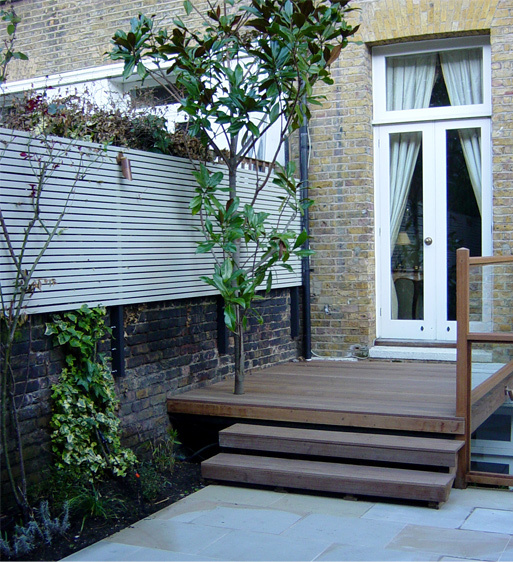 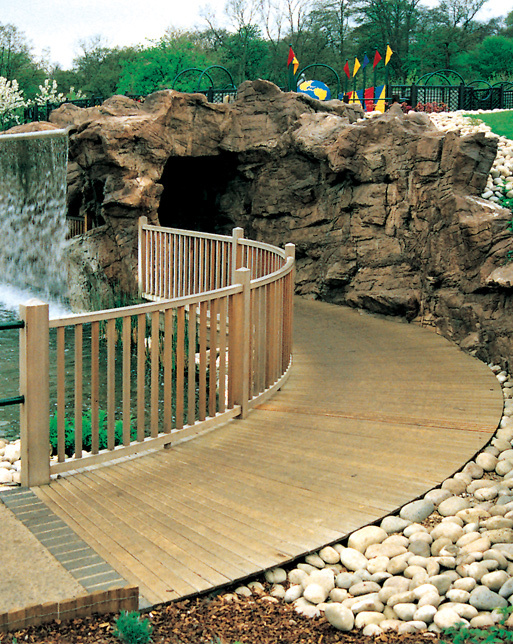 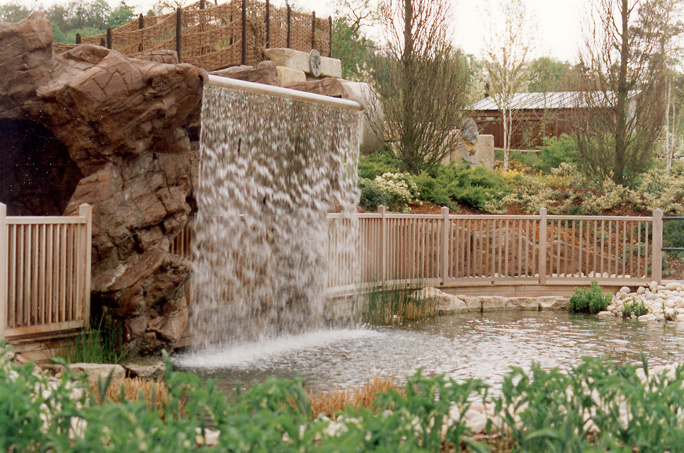 Lloyd Christie achieves the best results when designing the handrail or the steps as part of the substructure, providing a seamless and more structurally sound deck.